Reading Standard: students read, view, analyse and discuss a wide range of informative and persuasive texts and identify the multiple purposes for which they are created. They explain how texts are shaped by the time, place and cultural setting in which they are created. They compare and contrast the typical features of particular texts and synthesise information from different texts to draw conclusions. Writing Standard: students write sustained and cohesive narratives that experiment with different techniques. They compose a range of other texts, such as feature articles, webpages and workplace texts. They proofread and edit their own writing for accuracy, consistency and clarity. 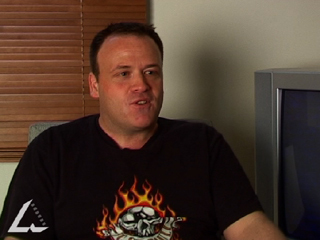 Explain what Mac Gudgeon believes is his role as a writer of Australian TV dramas and documentaries. Do you agree with his opinions? Comment on the importance of Crawford Productions to the Australian TV industry. What is important about screening ‘local surroundings’ and ‘people talking in Australian accents’ on TV? Compare Australian-produced TV drama series to those from elsewhere, in terms of stories, settings, acting and general production and entertainment value. Comment on whether any of these Australian dramas would be popular if screened overseas. View an episode of any current Australian TV drama series, then draft, edit, proofread, and word-process a magazine review in 250–300 words, discussing the entertainment value and qualities of the production, dialogue, story and acting. Your review may also include comparisons to other Australian and international programs, and whether the episode adequately reflects Australian ways of life, characters, values and settings. Totaling 600 words, compose a set of imagined diary entries from the viewpoint of a character featured regularly in any well-known Australian TV drama series. Rehearse then read to the class. John Waters on being an actor in Australia, radio broadcast, ABC South West WA, 30 June 2004, presented by Sharon Kennedy.